Over the past weekend, Uncle Leo’s Brewery in Lyons Brook, NS (2 minutes outside of Pictou) opened to great crowds of local beer lovers and visitors from all over the province, despite the spotty weather. We traded emails with co-owner and brewer Karl Whiffen, who, along with his wife Rebecca (also co-owner), were thrilled by the interest of good beer fans. ACBB: Could you give us some background about how this all got started? Karl Whiffen: A little over two years ago, my wife and I were driving by the old “New Scotland Brewery” and noticed a for sale sign. We’ve both wanted to own our own business for some time and the idea of owning a brewery really intrigued us. Little did we know at the time that there would soon be a small explosion of breweries in Nova Scotia. It’s a good time to be a craft brewery. Were you doing much homebrewing before you decided to go pro? Not as much as most people would expect, I suppose. I got into all grain brewing about three years ago. Uncle Leo was my Great Uncle. He lived in Newfoundland and supplied beer to the local residents in my old hometown. This was during the 40’s and 50’s in rural Newfoundland. You couldn’t go to the local beer store back then, so you went to Uncle Leo’s. What type of brewing system do you plan on using initially? We will be using a direct fired 10BBL system. Do you have any partners involved with Uncle Leo’s Brewing? Have you had any assistance with other breweries in the area through the whole process? Yes. I would like to thank John Allen at Propeller who was kind enough to allow me to work at his brewery and teach me about the workings of commercial brewing equipment. I’d also like to thank our consultant Greg Nash of the Rockbottom BrewPub and the Hart and Thistle. Tell me a bit about Uncle Leo’s initial beers. Are you planning on concentrating on a particular style, or styles of beer? For now we are coming out with a red ale and a west coast style IPA. Down the road I’d like to add seasonal beers and I have a beer in mind as a tribute to my Uncle Leo. Do you have a favorite beer style? Brewery? Beer? Any hobbies outside of brewing? Not really. I guess I’m biased towards British ales, but i’m open to anything, really. What I really like is trying new beers; I think that’s pretty normal for craft beer drinkers. If I ever get the time again, I’d really like to get back into sailing. I guess most of what I know at this point is self taught, or stuff I learned from online forums and such. I think I’m getting a pretty good education from Greg Nash, too. That guy’s a great brewer. There’s a lot of depth to his knowledge. Probably my uncle (not Leo) who lived in England for awhile. When I lived in St. John’s, Newfoundland about 20 years ago he would take me to all the smaller pubs and bars there. Wherever he could find imported British beer. I guess that’s not necessarily craft beer, but it developed my taste for beer outside the mainstream. I don’t remember my first craft beer. It was probably a Golden Rye from the New Scotland Brewing Company. How was the launch on the weekend? It was great! We sold out of growlers on the first day. Our nearest estimate is over 500 people during the 2 day opening. We expected to be busy but not lined up to the road all day. It was incredible. We were filling in that back as fast as we could and still couldn’t quite keep up. 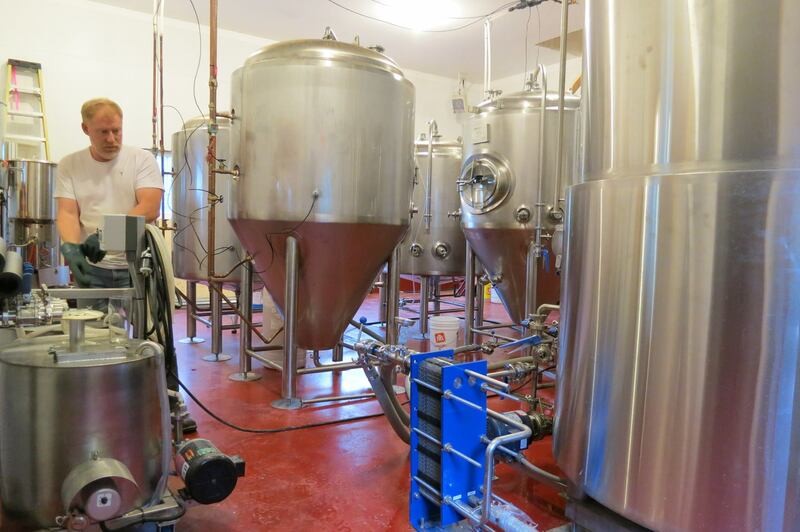 Uncle Leo’s Brewery is open afternoons Wed-Sun, with brewery tours bookable Wed-Sat evenings. Their website has a great map with the Craft Breweries of Nova Scotia on it, so you can plan your vacation to the great breweries across the province. 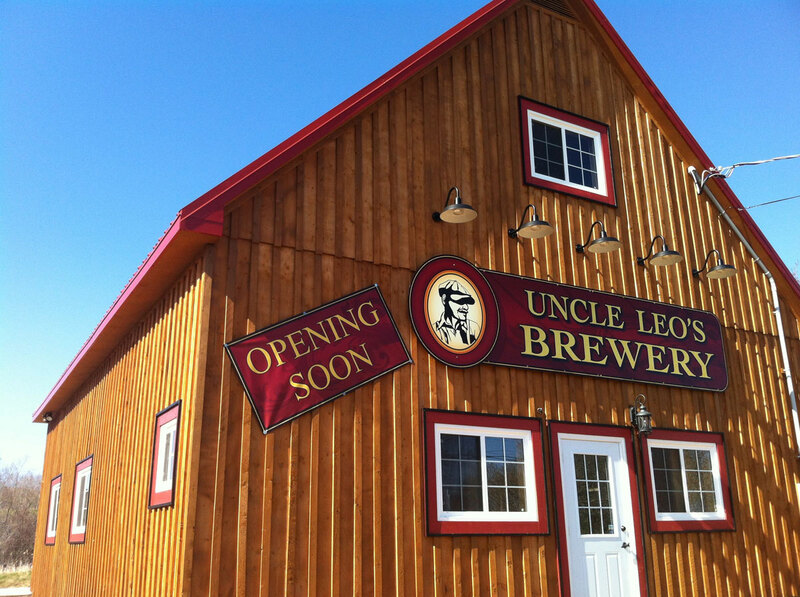 Uncle Leo’s beer will soon be available at the NSLC, and on tap at local bars. They’ve got more growlers on the way to replenish their stock. Be sure to follow their website, Facebook and Twitter pages for the latest news.